She's one of the greenest captains in Suncorp Super Netball but 25-year-old mid-court star Maddy Proud has made it clear she intends to lift the bar for a NSW Swifts side that has yet to make the playoffs in the competition's two-year history. Proud was voted by her teammates as the player to take over the captaincy from Abbey McCulloch who has stepped away from the court to focus on rehabilitating a nasty knee injury. 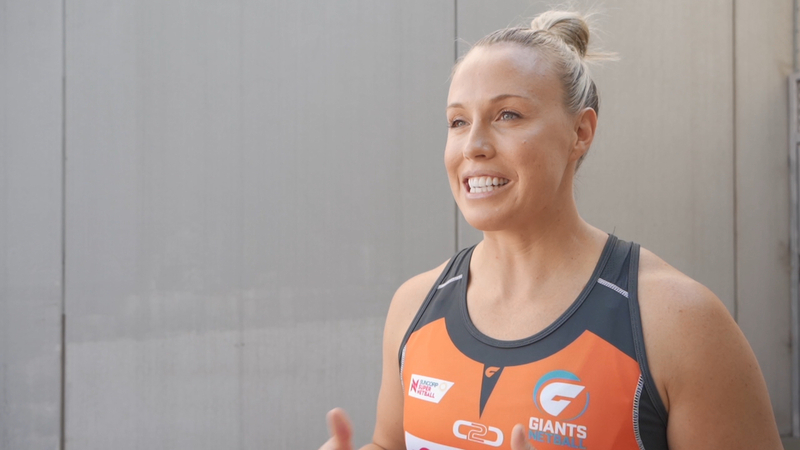 Speaking with Wide World of Sports on the day of the 2019 season launch, Proud appears comfortable with the added responsibility, revealing she has come to terms with the need to talk "tough" to teammates in certain situations, despite establishing herself as a teammate who "likes to have a laugh". "I'm a bit of a joker, so I guess it's just finding a bit of a balance between being that person but also be able to have that hard chat or set the standards when I need to," Proud admits. "So I think the relationship with the players and being the one who often speaks up, that's more natural to my personality, but when those tough situations come that's when I'm going to have to really learn and work on that side of being a captain." Proud admits that the time to get serious might come sooner rather than later after the Swifts vowed in the off-season to stop falling back on the excuse that they were falling short of finals because of their youth and inexperience. No longer will mediocrity be accepted, with Proud adamant the Swifts were ready to contend for a title, not just take the next step into the playoffs. "We're shooting for the title really, there's a lot of talk in our camp that it's unacceptable that we haven't made finals for the last two years and being such a proud and successful club in the past, it's not a place that we want to be in," Proud says. "We've hid under the idea that we're a young and inexperienced team for the last couple of years but at the end of the day we're not young and inexperienced anymore, we've been together for three years now. "It's time for us to stamp our authority on the competition and get back into the finals." When challenged on how a team so unused to success could back up such lofty ambitions with its performances on the court, Proud replied that self-belief would grow from a switch in the group's mindset. "I think in the past you have a good game or you win a game and there wasn't any expectation around that," Proud says. "Now in our practice games and training it's just setting those standards and knowing that nothing less than what we think is our best is acceptable. "That's not ultimately going to change what happens on the court but just that confidence and that belief in the fact that we can take it to the best teams and we showed that last year but it was just the fact that we couldn't do it consistently. It's about knowing we can do it and not accepting anything less than that." The Swifts start their Suncorp Super Netball campaign in a local derby against the Giants on Sunday, April 28.